A brand new Xiaomi VR headset will soon visit us that will reveal a more sophisticated version in the near future as told to CNBC by the Vice President himself on Friday. Xiaomi VR Headset is expected to get more sophisticated as Xiaomi confirmed on working on it and hinted at revealing it very soon. Hugo Barra, the Vice President of Xiaomi had an interview with CNBC, in which he talked about the company’s sales, agenda, and upcoming projects and strategies. Xiaomi VR headset was unveiled almost two weeks back which was said to be supportive for about 4.7″ to 5.7″ inches phone screen. It features zippers in the place of Velcro for holding the phone along with lycra cover to make it more comfortable. In the interview, he said that Xiaomi is working to reveal a more sophisticated VR headset. They have been improving their headsets by providing better hardware than before if we see the progress from the time of the first Xiaomi’s VR headset launched called as Mi VR Play. It’s quite possible that the latest version will be similar to HTC Vive, Samsung Gear VR or Oculus Rift from Facebook. The VR headset is in public beta till date. Recently, Xiaomi sold the Mi 5 bundled along with a Mi VR Play at a price of $272 but the prices are still not out. 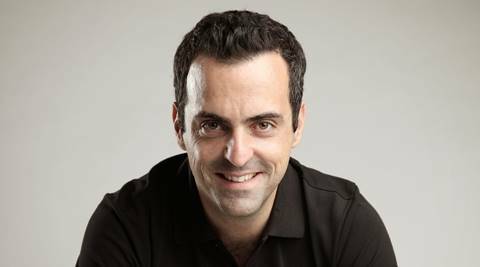 Hugo Barra revealed the company’s plan is to become an open content platform in China for VR. He also discussed his sales and profit of the company stating that they made a milestone of one million registrations for their first headset called the Mi VR Play between the first 8 hours of site opening. We are keeping a close watch on the developments of the Xiaomi VR headset and will let you know the developments as and when we are aware of it.